The Mission of the board members is to work towards the establishment or expansion of Montessori schools in Denmark, using Montessori pedagogy, philosophy and AMI Montessori trained staff. Please contact us if you would also like to join our mission. Dinny has been an educated AMI Montessori teacher since 1969. She was the Directress of Jaegersborg Montessori Preschool twice and left to start the The Little Montessori School in Lyngby in 1990. She is now involved with the Danish Montessori Society and is an advocate of the Montessori philosophy in Denmark. Isabelle is the Director of Montessori International Preschool, located in Valby and in Frederiksberg. She is also the founder of both preschools. She moved to Copenhagen in May 2008 with her family. She is devoted to helping children develop an open-mind and an acceptance of other cultures and customs. Marianne and her husband run a small private kindergarten for 25 children aged 2-6 years. Her “Montessori career” began in 1978 where she worked for 2 years as an assistant in the same kindergarten that she currently owns. The kindergarten opened in 1971 and she acquired it in 1992. Kristine is the Head Teacher of Montessori International Preschool since 2011. Kristine has a degree in social work as well as psychology. While living in Arizona, USA she graduated from the Montessori Education Centre of Arizona as an AMI 3-6 Directress in 2006. She is also a qualified yoga teacher for kids and teaches yoga. Kelly graduated from The Montessori Institute of Denmark in December 2015. She is qualified as an AMI Casa dei Bambini Montessori Directress. She worked at the Montessori International Preschool in Valby from 2013 to 2016. Lisa Rasmussen was the Montessori Directress at The Little Montessori School in Lyngby from 1997 to 2016. She received her diploma as a Montessori Directress in 1995. Are you interested in becoming a member of the Danish Montessori Society? Annual membership fee is 100 DKK which can be paid using netbank. When: Dr. Montessori opened the first Casa dei Bambini on the 6th of January 1907. The first article in Denmark about Montessori was written 1911 four years after by Marie Helm who we believe was one of two cousins running the oldest school in Korsør, a small but important town in the south west of Zeeland, important because it was the port to the island of Funnen and Jutland. Where: By 1950 Montessori had reached it peak and was losing ground but before that it had been spread over the whole of Denmark, schools, colleges, children’s homes and homes for disabled children. In The Secret of Children translated into the Danish by Thora Constantin Hansen in the late 1930s there were advertisements for at least nine Montessori schools for the three to six year olds. Books and articles: The Danish Montessori Society printed a great deal of articles. Several of Dr. Montessori books were translated and Danish books about the Montessori Method were published. I would like to mention the book by Sigurd Næsgaard from 1924 written about Egelunds School, Egelunds School was a kind of Erdkinder School for children from 3 to 15. Societies: The first Danish Montessori Society was founded in 1917, ten years after the first Casa was started. Thora Constantin Hansen was the youngest child of nine; her father was a famous Danish painter. She founded the first Danish Montessori Society, Took a Montessori Course in London in 1924 under Dr. Montessori and visited Dr. Montessori in her home. She translated books by Dr. Montessori and gave lectures. She worked all her life for children at risk. Johannes Rosback: founded Egelundshuset 1943, a home for children at risk properly one of the first Erdkinder schools in the world. George Julius Arvin: was a School inspector who founded a Montessori school in Frederiksberg together with Thora Constantin Hansen, in 1948 he founded Bernadotteskolen, named after Folke Bernadotte. Sofie Rifbjerg 1886 – 1981. From 1919 to 1920 she attended a Montessori Course in London. In 1925 She was the first woman in Denmark to become Master of Science in Psychology. In 1928 she started a 2-year Montessori Course of which she was the director until 1949. Ranghild Hoff took a course with Dr. Montessori, maybe in Rome. She had at least three Montessori schools for small children. In 1940? She started Nordisk Montessori Kursus that survived until 1972. Ranghild Hoff helped on the “White Buses” that Folke Bernadotte sent to Germany in the last days of the Second World War to drive prisoners of war back to Scandinavia. Dr. Montessori in Denmark: We know Dr. Montessori was in Denmark twice, once when The New Education Fellowship held its 5th World Congress in Helsingør where the delegates were able to meet in the Knights Hall of the Castle of Kronborg. 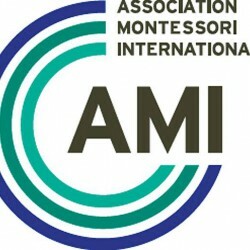 And Dr. Montessori and her son Mario founded Association Montessori Internationale AMI. The second time we know of was in Copenhagen in 1937 at the Sixth International Montessori Congress, Education and Peace. Did we have any famous Montessori children? Two children that later became famous in Denmark and went to Montessori schools were Falke Bang and Leif Panduro, Falke Bang went The Montessori school Egelundshuset near Roskilde he is mentioned as knowing all the bird species, writing poetry and drawing beautiful nature drawings at the age of 13, 14, he later became an artist and illustrator. Leif Panduro was a child at risk and was looked after by Thora Constantin Hansen in her “Home School” in Roskilde, which she started in 1922. He later became a writer and playwright. Unfortunately, The Little Montessori School closed in the summer of 2017. Montessori students learn to think critically, work collaboratively, and act boldly. This is a skill set that is beneficial in the 21st century! The Montessori philosophy is based on a profound respect for each child as a unique human being. Our approach assumes that children are born intelligent, curious, creative and are ripe to develop a sense of wonder and imagination. The goal is not to control, but to inspire our children to learn voluntarily. In its essence, Montessori is designed to teach children to think deeply, to think for themselves and to think about others. We believe that learning how to think for oneself (in effect, learning how to learn) will get a child through both school and life. Maria Montessori believed that children are natural learners and little teachers. Children work for the joy of the process rather than for the end result, and children are excited and energized through work. A child may repeat activities over and over until an inner need is fulfilled. Maria Montessori, born 1870 in Italy, was one the most influential educators in the 20th century. She was the first woman Medical Doctor in Italy and was one of the great pioneers in the study of child development. Upon graduation from Rome University Medical School in 1896, she worked with mentally deficient children, which reflected not only compassion, but also a rigorous scientific ability. She became a lecturer at Rome University and set down the foundation of scientific pedagogy in Italy. She wrote many books on the various aspects of her theory and practice, and formulated her approach for elementary children in 1917 in the work The Advanced Montessori Method. While in India (1939 to 1945) Dr. Montessori studied the child in its early years. Her unique ability to observe children and gain insight into their development led her to design the education method which is known throughout the world as Montessori education. Children teach themselves. This simple but profound truth inspired Montessori’s lifelong pursuit of educational reform, methodology, psychology, teaching, and teacher training—all based on her dedication to furthering the self-creating process of the child. Today, over 100 years later, her schools continue to thrive and expand, a tribute to her inspirational insight, which has helped change the course of childhood education. The Danish Montessori Society welcomes you to the 5th Nordic Montessori Conference. Click on the items below to find out more. The Danish Montessori Society welcomes you to the 5th Nordic Montessori Conference TOPIC: PEACE THROUGH EDUCATION DATES: Friday 2nd to Saturday 3rd September 2016 VENUE: Hotel Marienlyst, Helsingør, Denmark CONTACT: sdrebild@gmail.com For more information, click here. It should come as no surprise, that there are many famous people that have graduated from a Montessori school. The list includes the Google cofounders and Anne Frank. You can find the complete list of them here in this article. The last AMI Primary Training Course finished in December 2015. There is no new course planned for now. If you would like to be informed on future courses, please send a message to: info@montessori-institute.dk Thank you. If you would like to become a member, more information about the society, or just more information about Montessori in general, please feel free to send us a message. © Danish Montessori Society 2015. All rights reserved.